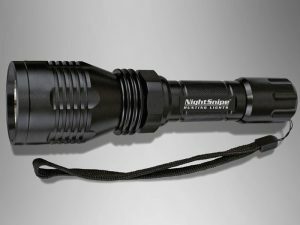 Works with all NightSnipe Lights! 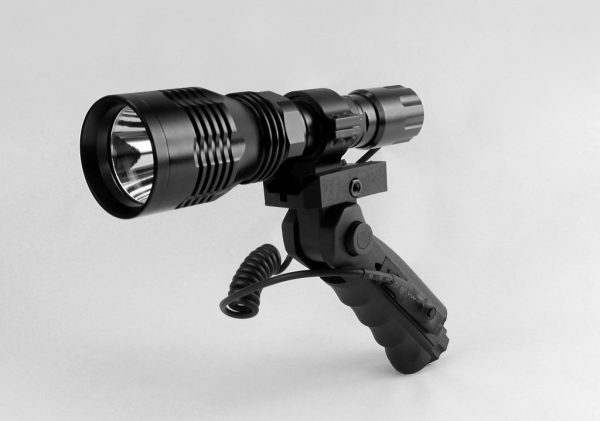 When it comes to a scan light pistol grip the NightSnipe is just what you need. 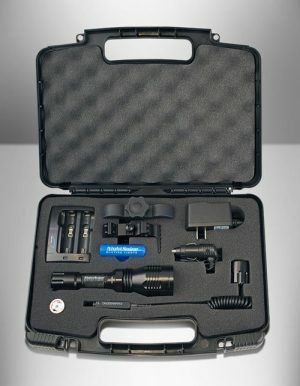 Designed to be used in 2 different lockable positions for smooth, quick, effective scanning! One of the key features of this grip is it’s ability to completely lock shut parallel with your light when not in use. 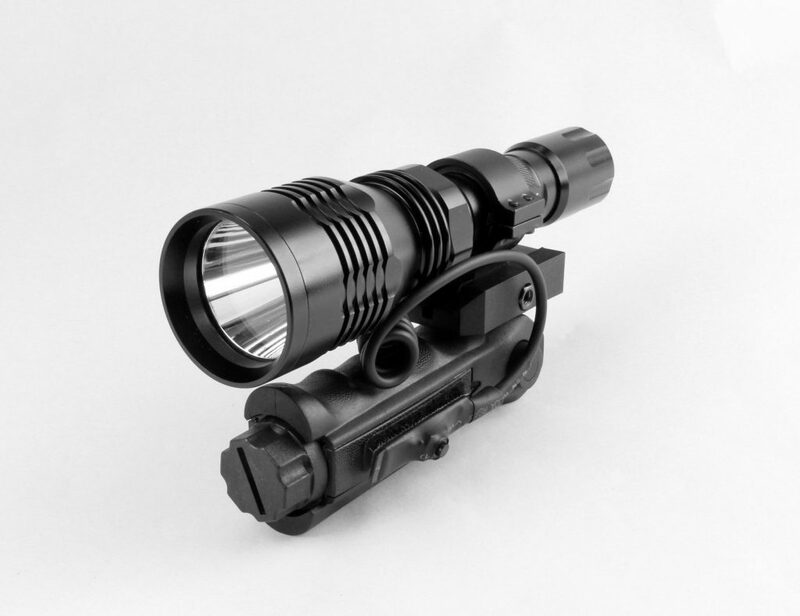 This makes for easy pocket transportation and storability. 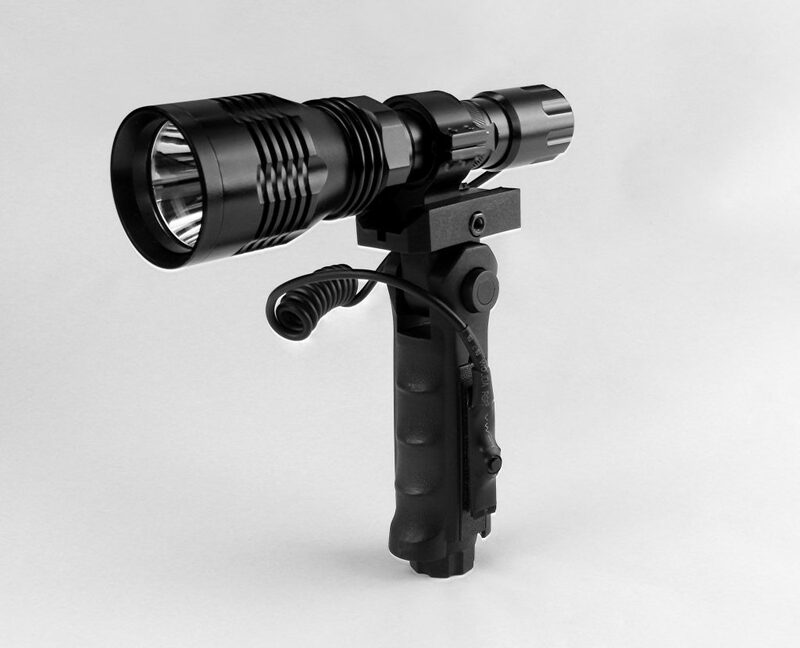 With your coiled tailcap click or pressure switch attached to the grip, you can quickly turn the light on and off all with one hand operations. 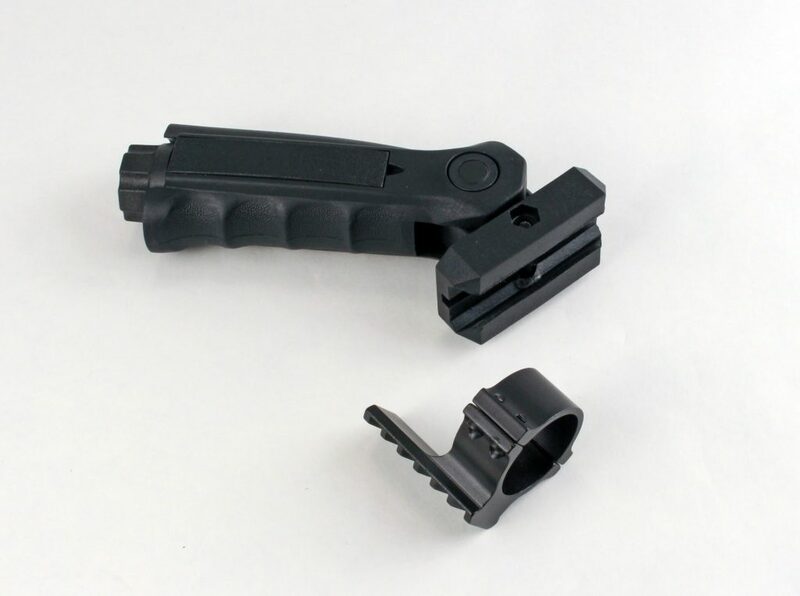 Comes with grip and picatinny rail ring mount for light. 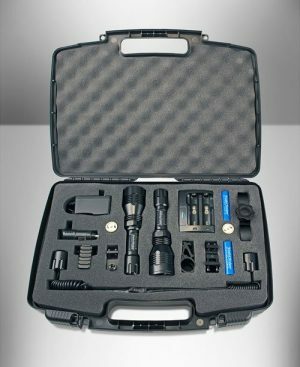 (Light and coiled tailcap NOT included in this kit). 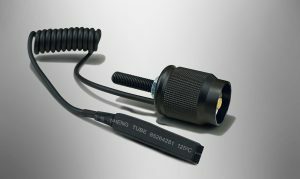 See other scan light grip packages available.